From your oven to your washing machine, you depend on your appliances to manage everyday living. Needless to say, if something starts to go wrong, it can seriously disrupt your daily routine — and possibly your budget! 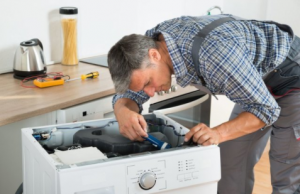 If left unchecked, a relatively minor maintenance issue can become even worse and possibly even require that you completely replace your appliance. This makes it essential that you call an appliance repair service as soon as possible. The following signs are some of the best indicators that you need to make the call. Though each appliance is different, any unusual performance issue is well worth investigating. For example, an oven might not produce enough heat, or its burners may not turn on. On the opposite end of the spectrum, a refrigerator may not be keeping food as cool as it should. A malfunctioning dryer could damage clothing, or fail to fully dry a normal load of laundry by the end of a cycle. Essentially, any time one of your appliances is not performing like you would expect it to, you should call in a professional to check things out. Seemingly minor issues can quickly escalate if not repaired quickly. Electrical problems don’t just affect the functionality of your appliances — they can also impact your personal safety. Be watchful for appliances that cause sparking or power flickers during operation. If you regularly need to unplug an appliance between uses, repair problems may also cause sparks when you plug it back in. Sparking electricity could result in electrocution or contribute to an electrical fire. Rather than put yourself at risk, you should cut off power to the damaged machine and call a professional as soon as possible. Not all appliances operate silently — even though modern dishwashers and washing machines are much quieter than their older counterparts. However, any unusual sounds are well worth investigating. This is especially true of appliances that are normally quiet during operation, such as your refrigerator or oven. Unexpected buzzing and clanking noises are often one of the first signs that something is amiss. By acting quickly when you notice these problems with your appliances, you can get needed repairs and quite possibly avoid the need for a more costly replacement. Even if your appliance is beyond repair, you can at least get accurate information from the repair team so you can start taking the next step. By keeping your appliances in top shape, you can ensure safe and effective completion of your daily routine.